No matter where you are in your career, office boredom is bound to creep up on you at some point – especially during the doldrums of winter. 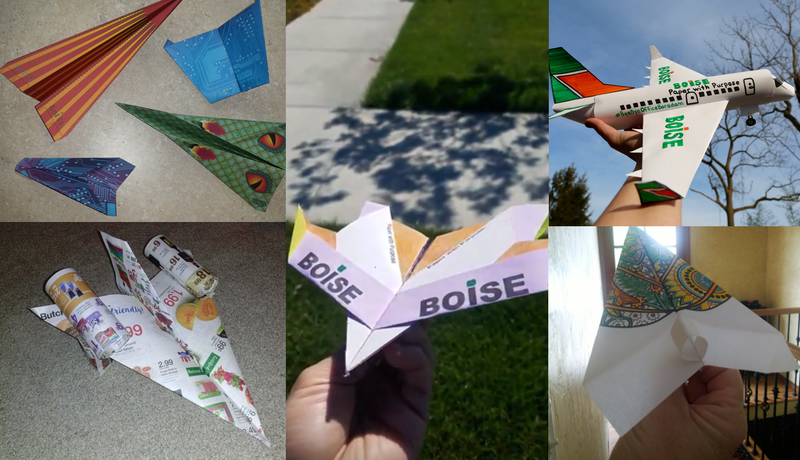 To help office workers across the country alleviate their boredom at work, Boise Paper engaged its social media fans by asking to tap into their childhood skills and show off their best paper airplane for the chance to win a grand prize of $500. Entrants in the #ByeByeOfficeBoredom Paper Airplane Contest were asked to use multipurpose paper or copy paper to build their airplane and then submit a photo or video of their creation. The airplanes were judged based on creativity and flight ability, and entrants were awarded a bonus point if they showed a ream of Boise paper in their photo or mentioned Boise Paper in their video. The contest generated 190 entries and allowed us to obtain several pieces of user-generated content that were used in social posts on Boise Paper’s Facebook and Twitter pages. Check out some of the entries below!